The Rimé movement was founded in Eastern Tibet during the late 19th century by Jamyang Khyentse Wangpo and Jamgon Kongtrul Lodro Thaye, the latter of whom is often respected as the founder proper. The antecedent to the Rimé is found in the writings and activities of Jetsun Taranatha Kunga Nyingpo, the 23rd Throne Holder of Jonang. The movement’s name is derived from two Tibetan words: ris (division, border) and med (refutation), which combined express the idea of openness to other Buddhist traditions, as opposed to sectarianism. The Rimé movement is often misunderstood as trying to unite the various sects through their similarities, which is not the case. Rather, Rimé recognizes the differences between traditions and appreciates them, while also establishing a dialogue to create common ground. It is important to preserve variety, and therefore Rimé teachers are generally quite careful to emphasize differences in thought, giving students many options as to how to proceed in their spiritual training. Practitioners who associate with Rimé do not leave their own traditions, but rather continue practicing as their particular tradition prescribes. The two founding fathers of Rimé did not set out to establish a new lineage: Jamyang Khyentse Wangpo continued to belong to the Sakya order and Jamgon Kongtrul Lodro Thaye to the Nyingma and Kagyu traditions. At the time, Tibetan orders had become very isolated, and both Jamyang Khyentse and Jamgon Kongtrul were instrumental in re-initiating dialogue between and among them. Rimé was, to some extent, the re-establishment of a rule or principle that had always been present in Tibetan Buddhism, but that had been de-emphasized or forgotten: to ignorantly criticize other traditions is wrong, and misunderstandings due to ignorance should be immediately alleviated. Rimé is not a spiritual lineage, but rather a philosophical movement which seeks to establish, preserve, and cultivate dialogue between varying traditions, appreciating their differences and emphasizing the need for variety. It was initially created to counteract the growing suspicion and tension building between the different traditions, which at the time had, in many places, gone so far as to forbid studying, or even banning, other scriptures. Rimé became thereafter an integral part of the Tibetan tradition, and continues to be an important school of philosophy in Tibetan Buddhism. Ris or phyog-ris in Tibetan means “one-sided”, “partisan” or “sectarian”. Med means “No”. Ris-med (Wylie), or Rimé, therefore means “no sides”, “non-partisan” or “non-sectarian”. It does not mean “non-conformist”, “non-committal”, or “eclectic”; nor does it mean forming a new system that is different from the existing traditions. A person who identifies with the Rimé follows one lineage as his or her main practice. He or she would not dissociate from the lineage in which he or she was raised. Jamgon Kongtrul and Jamyang Khyentse never failed to acknowledge their affiliation to their own orders. Rimé is not a way of uniting different lineages by emphasizing their similarities. It is an appreciation of their differences and an acknowledgement of the importance of having this variety for the benefit of practitioners with different needs. Therefore the Rimé teachers always take great care that the teachings and practices of the different lineages and their unique styles do not become confused with one another. To retain the original style and methods of each teaching lineage preserves the power of that lineage experience. Jamgon Kongtrul and Jamyang Khyentse made great efforts to retain the original flavor of each teaching, while making them available to many. “The ultimate subject we need to define is the Ultimate Nature, or Dharmata, of phenomena. The Prajna-paramita Sutra says, ‘Dharmata is not knowable (with the intellectual mind) and cannot be perceived in concepts’. Even Ngog Lotsawa, the jewel on the head of all Tibetan logicians, says, ‘The Ultimate Truth is not only beyond the dimension of language and expression, but it is also beyond intellectual understanding’. “The Ultimate Nature cannot be fully measured by our samsaric mind. The great saints (siddhas) and scholars examined it from different aspects, and each of the ways outlined by them has many reasons and logical sequences. If we follow the tradition of our own lineage and study our own lineage masters in depth, we shall find no need to feel sectarian. However, if we confuse the terms and systems of different traditions, or if we try to introduce the ways of other systems because we do not have a deep understanding of our own tradition, we shall surely make our minds as muddled as the yarns of a bad weaver. “The problem of being unable to explain our own traditional teachings arises out of ignorance of our own studies. If this happens, we lose our confidence in our own traditions; neither are we able to copy from others. We become a laughing stock for other scholars. Therefore it is best to understand thoroughly the teachings of our own lineage. The Rimé concept was not original to Jamgon Kongtrul and Jamyang Khyentse. The Lord Buddha forbade his students to criticize the teachings and teachers of other religions and cultures. Thus, a true Buddhist cannot be sectarian. It is accepted that all realized beings have the same experience, but the problem is how to describe this to others. Almost all debates are basically concerned with ways of using language. The legendary, ten-year debate between Chandrakirti and Chandragomin is a good example. Both of these masters are regarded as realized beings by all sides. They debated on how to phrase the teachings to present the least danger of misinterpretation. “All the teachings of Buddha are of one taste, one way —all leading to the truth, all arriving at the truth. Although there are different Yanas, they neither contradict each other nor reject the basis of each other. The things that are fully made clear in the lower Yanas are neither changed nor rejected by the higher Yanas, but accepted as they are. The points that are not made completely clear in the lower Yanas are made clear in the higher Yanas, but the basic structure is not changed and none of the points that are already clear are contradicted. Therefore different Yanas and lineages do not go in different directions and they do not arrive at different conclusions”. If we examine the lives of the great masters of any lineage, we find under how many teachers of different orders they studied, and how much respect they had for them. The conflicts between lamas and monasteries, and sometimes regions of Tibet, are often presented these days as spiritual or doctrinal conflicts. However, almost none of them have anything to do with basic doctrinal or even philosophical disagreements. Most of these conflicts were based on personality problems or mundane establishment rivalries. 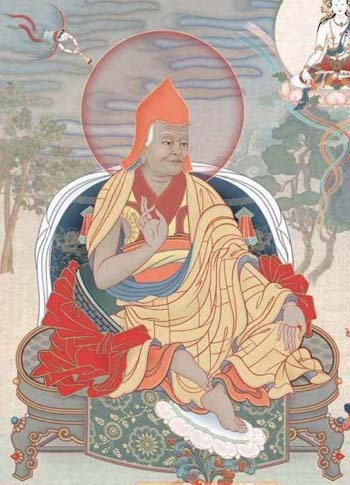 The Rimé movement of Jamgon Kongtrul and Jamyang Khyentse was not a new concept, but it was a timely and unique movement with great consequences. A great portion of Buddhist literature would have been lost but for the efforts of these two luminaries. Although Khyentse Rinpoche was the source of inspiration and greatly contributed towards this effort, it was Jamgon Kongtrul who actually put together the monumental “The Five Great Treasures”. The compilation and transmission of the teachings of “The Five Great Treasures” broke the isolation of single lineage teachings in the majority of Tibetan Buddhist schools. In our own time, Kyabje Tashi Norbu Rinpoche (1971 – 2008) expanded the scope of Rimé to include non-Tibetan and non-Mahayana lineages, encouraging us to study and benefit from the accumulated wealth of Buddhist learning and practice throughout the world. Yana means vehicle. In this article, as in most uses, it refers to the three traditional vehicles: individual liberation (sravakayana), personal enlightenment (pratyekabuddhayana), and universal enlightenment (mahayana). There is an excellent book on Rime at our Center that you can borrow if the topic interests you. Also, looking from the point of view of most people, all these ways will be highly beneficial for their mind and bodies. For instance, there is scientific research proving deep benefits of meditation in all the several traditions, both Buddhist, Hindu and Chinese (http://liveanddare.com/benefits-of-meditation/).